Where do your family and friends gather at the end of a long day? If you said “the oven, obvs,” then great news, GE’s got the device for you. 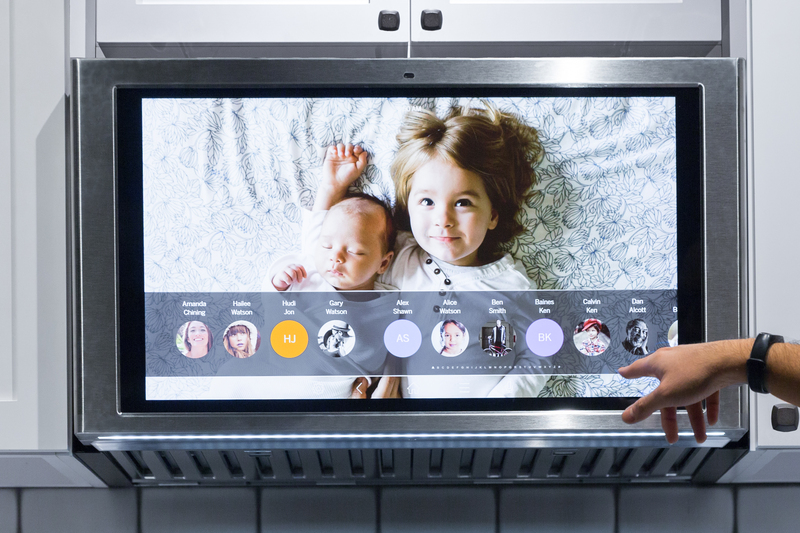 The Kitchen Hub is basically a 27-inch screen designed to sit on the wall above the oven. Users can interact with gestures and voice — because it’s high up and presumably you’ll have food stuffs on your hand while cooking. Here’s a silly thing from GE’s press release, “Its placement over the range puts tech where it belongs: at a comfortable viewing level and above the one appliance family and friends gather around while making dinner and conversation at the end of the day.” I don’t know anyone who does this. Maybe you do. Maybe people are making s’mores or something. I honestly don’t know what most people do with their time. The idea of a kitchen display isn’t a crazy one, of course. That’s one of the big things Amazon’s going for with the Echo Show. People have been putting small TVs in their kitchen forever, because let’s be real, cooking is mostly pretty boring. GE hasn’t revealed pricing for the display yet, but it seems like a pretty safe bet that it won’t be cheap, particularly compared to things like the Show, which already makes this thing a harder sell. The features are also pretty similar, albeit on a larger screen, with different camera angles. You can do video calls, add stuff to your calendar and look for recipes and such. There’s also a downward-facing camera, so you can do your own personal cooking show, if that’s your thing. The screen will arrive in the second half of this year and will be compatible with the rest the company’s connected appliances, which are, in turn, compatible with Alexa, Google Assistant and IFTTT. If all of that appeals to you, and you’re cool putting an expensive gadget above the oven, the screen is due out later this year.